Imagine combining the thrill of a luxury island escape with all the comforts of home, closely connected by water to other dwellings and modern amenities and you have Secret Harbour: 125 unique homes inspired by some of the world’s most beautiful maritime villages. 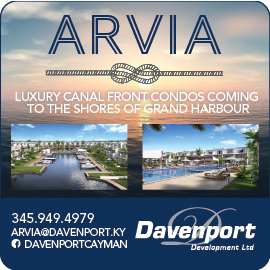 When complete, the new development by Mike Ryan – owner/developer of The Ritz-Carlton Grand Cayman (the number one rated resort in the region) and a man who is always shooting to stay ahead – will be the Caribbean’s only sea-to-sea resort community. However, spectacular spaces and locations are what really set Secret Harbour apart. Perhaps you are banking on one of the bridge residences with their private elevator entrance and glass floor or seeking a skyhouse with a rooftop terrace of over a thousand square feet? Alternatively, how about a contemporary two-bedroom harbour loft or a one-bedroom residence tucked on the corner of the harbour? Just like the residents, no two Secret Harbour homes are slated to be the same. Meanwhile stunning sea views – water is a key component throughout the community – can be enjoyed from every angle. The plans sound so glorious and relaxing, the peace and seclusion only adding to the abundant desert island appeal, that we suspect you will not want to stray too far from your bijoux bolt-hole. Assuming you do decide to leave, the centerpiece of Secret Harbour and undoubtedly one of its greatest assets, is the colonial style clubhouse that you reach by a sleek white wisp of a boat – the perfect introduction to what is sure to be a lap of luxury. Rising three floors from the promenade – set to be a lively European-esque place to stroll – the 12,000 sq ft clubhouse (inspired by Singapore’s Fullerton Hotel) will boast all the shops, restaurants and cafés that the jet-set expect. “The more urban harbour promenade, clubhouse, pool and lounge will be in stark contrast to the outer tips of the community where the landscape becomes more relaxed, lush and garden-esque with private beaches, hammocks and cabanas” explain the principal planners at VITA (the company charged with the project’s landscape architecture). Other upmarket facilities include a boardroom, private theatre, state of the art gym, spa suites and a designated children’s area – not forgetting breathtaking views from the balcony of the surrounding water based community that extends out to the North Sound. Fancy venturing further afield? All of The Ritz-Carlton’s amenities and facilities – including upscale restaurant, Blue, by Eric Ripert of New York’s Le Bernardin, a Nick Bollettieri tennis centre, Greg Norman designed golf course and an eco adventure programme by Jean-Michel Cousteau – are available to Secret Harbour residents and easily accessible by water taxi. As REALlife journeyed by boat around the site, there was adventure in the air and a sense of unearthing a hidden jewel that will live up to the image equated with The Ritz-Carlton brand; nobody can deny that when it comes to luxury, The Ritz-Carlton know how to put on a show – they have been doing it for decades across the globe. The Ritz-Carlton is synonymous with guaranteed satisfaction which partly explains why people are snapping up Secret Harbour homes – 70 percent of the promenade level was sold within days of its initial release (construction is due to commence late Fall 2009). 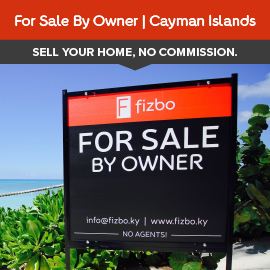 Another reason can be attributed to the ‘affordable’ price point – Secret Harbour homes start at around US$659,000. Or perhaps it is because at Secret Harbour you can have it all: a boat ride before breakfast, a mid morning massage, a few laps in your private pool followed by a leisurely lunch at Periwinkle and an afternoon saunter along the promenade. In the evening, gather together with friends for a cocktail at the clubhouse rooftop lounge while soaking up the lush vegetation and blue green sea that glistens in the sun.